One of the hardest routes the worlds has seen for a very long time. After a week of watching the other races, we’ll all be familiar with the main climb of the day. The men climb this on six occasions, but unlike the other races, we have an extra little climb just before the finish. 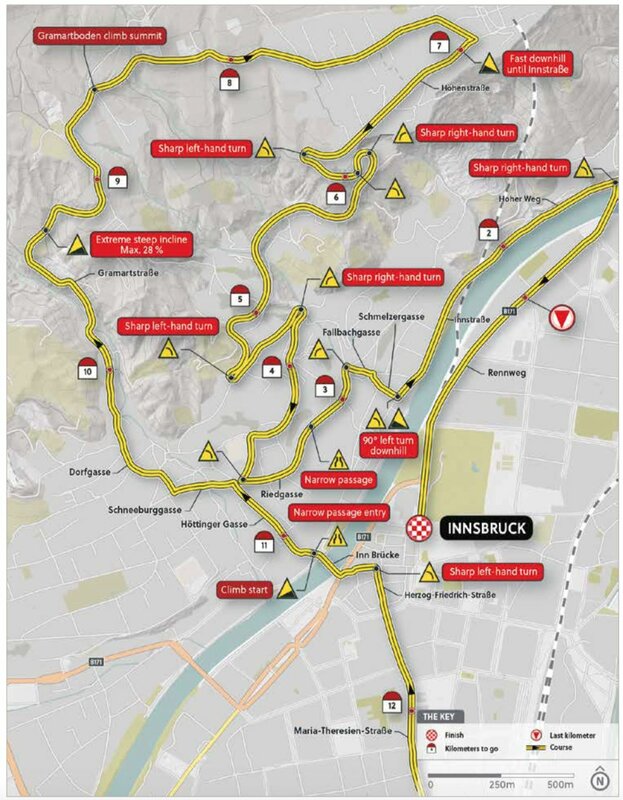 Just about 3km at 11% is going to be awful for most of the riders, especially after 255km of tough racing. It’s a climb that has a maximum of 28% and has been described to me as similar to the final climb in San Sebastian, but two minutes longer. We all know how hard that climb is, an extra two minutes of pain will make things very difficult indeed. Once over the top, we only have 8.5km remaining and most of that is downhill. In San Sebastian, we usually see a slight regrouping on the descent, this finish is much better for a solo rider. If you get a gap over the top of the climb, it is possible to hold it until the very end. The run for home does get very technical, particularly from 6km until 3km. Once inside the final 2.5km, the roads are straight and long. Being a good descender will certainly be a big advantage! Sunny and light winds. Perfect racing weather. What impact will the final climb have on the race? With all the riders afraid of what comes at the end of the race, we see a very controlled race with few attacks. Everyone simply rolls to the final climb and it settles the race. Teams who know they cannot match the best on the final climb make the race ridiculously hard. They try to blow out the domestiques, allowing attacks on the penultimate climb and hope that it sticks. We get a standard race. The pace gradually increases on the climbs, with the final two laps doing a lot of damage. Attacks will go, but there will always be a team who misses the move and brings it all back together. 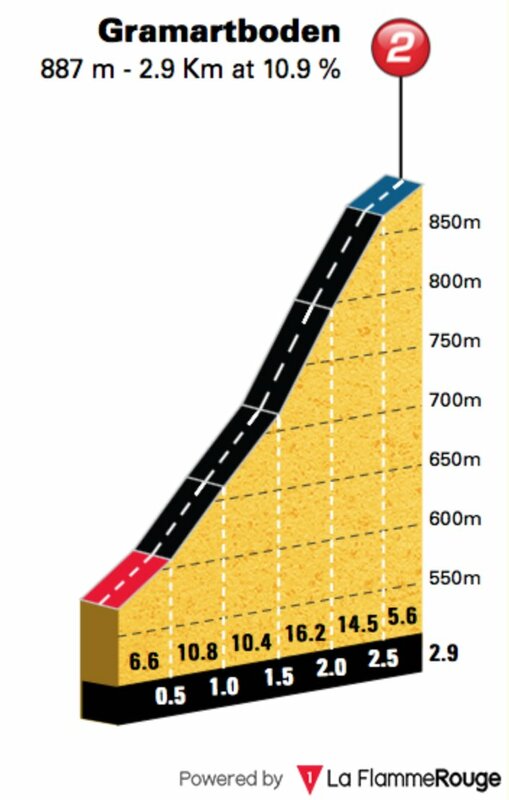 This will allow the final climb to be decisive. Alejandro Valverde – 121 pro wins, but he’s never been world champion. In my opinion, Valverde is the best one day racer in the peloton. As he can climb, descend and sprint, he has a huge advantage over his rivals. At 38 years of age, time is running out for him to win the big one, this could be his last big chance. Spain haven’t always worked as a cohesive unit, but this squad looks a good one. They have the riders to chase down the early moves, but they do lack a little power compared to some of the other countries. It looks like Valverde could be isolated in the final 15km, which could make life very difficult for him. He’ll desperately hope that Ion Izagirre or Enric Mas make it to the final climb, he’ll need their help. If Valverde starts the final climb in the front group, he’ll be very hard to beat. Julian Alaphilippe – the new Valverde! The French rider has enjoyed a wonderful season, he’s won 10 times, compared to just 6 wins in the rest of his pro career. He was awesome in the Tour de France, taking two stages and the KOM jersey. That was followed up by a masterful display in San Sebastian, before he took a small rest. He then won the Tour of Britain and Okolo Slovenska, both his preparation races for the world championships. Unlike Spain, the French have a fantastic looking squad. 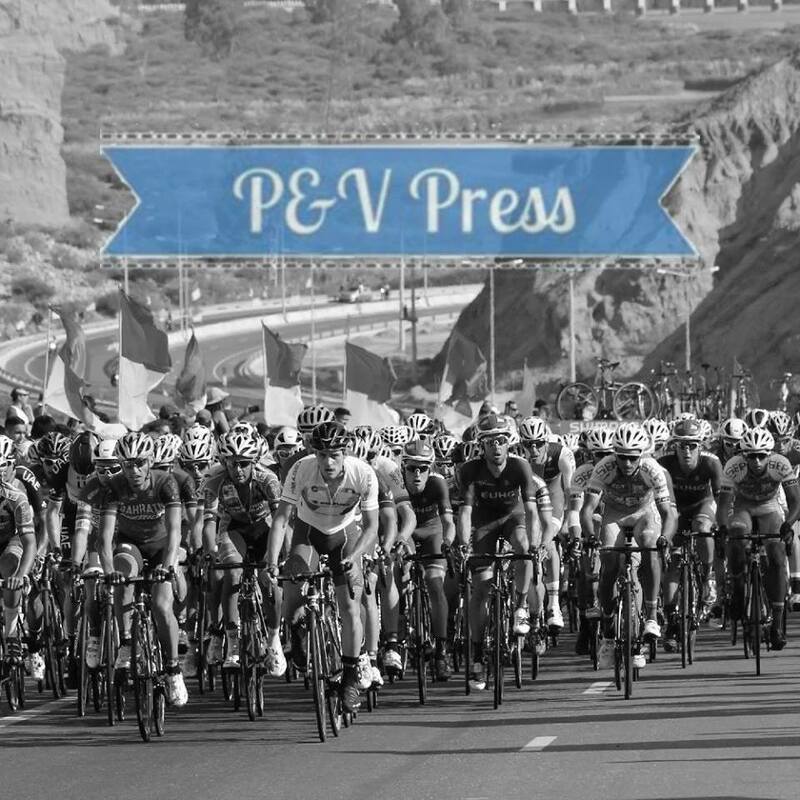 With riders of the calibre of Gallopin, Pinot and Bardet, you can be sure they will be well represented towards the end of the race. Given his finish, Alapahilippe will be held back until the very end. Simon Yates – brilliantly won the Vuelta, he really was considerable better than the rest of his rivals. The route is excellent for him, but has he sufficiently recovered from going very deep in Spain? If he has, Great Britain have a big chance of taking the win. Their squad features a lot of young riders, but Adam Yates is also there. After cruising through most of the Vuelta, he only had to really try in the final stages, he will arrive fresh and ready to help his brother, or try to win the race himself. I still think Simon is the best option, particularly with his ability to perfectly time his attack. Given the sprint his rivals have, he needs to drop everyone on the final climb. Michal Kwiatkowski – to finish 4th in the TT was a massive show of strength. It is clear that Kwiato is on top form and ready to win his second rainbow jersey. He was very close to winning a stage of the Vuelta, but he just missed out on a number of occasions. The Pole is very strong in one day races, he has many similar attributes to that of Valverde. Poland don’t have an overly strong squad, but Rafa Majka is a rider who would be expected to last until the very end. I think Kwiatkowski will look at Alaphilippe and Valverde and decide he needs to attack. Primoz Roglic – I am a massive fan of the Slovenian, but it will be very hard for him to win this race. This season has seen him solidifying his position at the top table of cycling, but this could be a step too far. Given his relative inexperience, I’m not convinced he’ll be able to cope with the distance of this race. Romain Bardet – one of the best second options available! With all the focus on Alaphilippe, it’s going to give Bardet an opportunity to surprise the bunch. After deciding not to ride the Vuelta, he’s been impressive in the recent Italian races. 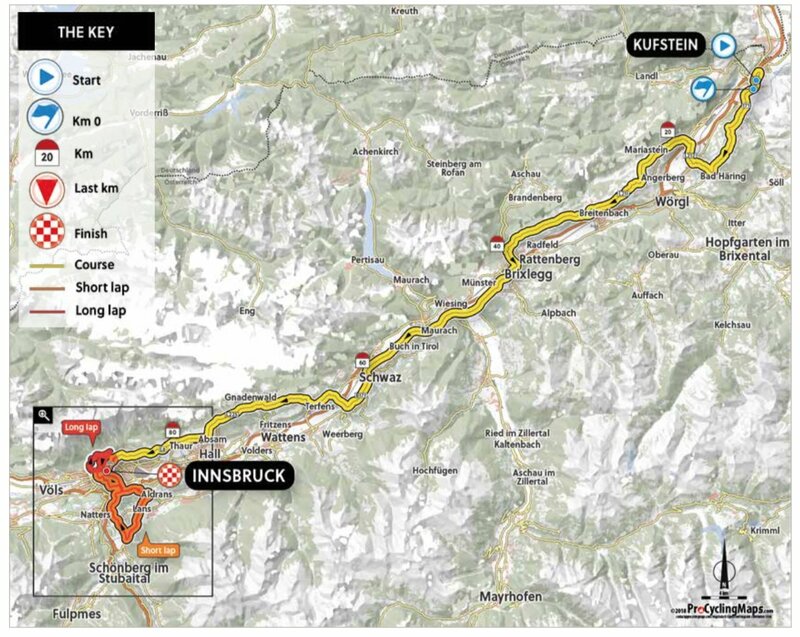 France will need to think carefully about their tactics, but I do hope that Bardet is allowed to attack on the penultimate climb, when few domestiques are left. This could allow him to get a big enough gap to take the win, something most of us would be very happy with. Vincenzo Nibali – he’ll be hugely frustrated that he’s not on top form. This would normally be a brilliant chance for him to win his first rainbow jersey, but given his level at the Vuelta, it would be a big surprise to see him winning. To win this race he needs to be 100% and I don’t think he is. Rigoberto Uran – the big diesel! He ended the Vuelta back at his very best, which is a great sign for the world championships. The route is hard enough for him to shine and Colombia have a strong squad. With the likes of Quintana and Lopez, Uran should be saved for the final climb. The distance is great news for Uran, he really does like a tough day in the saddle. Like many contenders, he knows he can’t outsprint Valverde and co, which means he needs to attack. Rafa Majka – in a similar position to Bardet. He is a very strong second option, but requires to be given some freedom to win. Remember back to Rio, Majka was very close to winning gold. He looked strong in the Vuelta, but didn’t manage to take a stage. He certainly has a chance, but it really depends on team tactics. I believe in fairytales! At long last, the rainbow jersey will belong to Alejandro Valverde. David, you did not mention Moscon. Don’t you think Italy will allow him to race for the win? Will they make him race for an out-of-form Nibabli?